At Eastern Hay, we aim to be the best provider of hay, feed and bedding products for the Equine market right here in the U.S.A. and beyond. At Eastern Hay Corporation, we take care to provide our customers high quality services personalized for their unique needs. We pride ourselves on being professional, knowledgeable and dependable while providing the best alfalfa hay for sale all over the U.S.
We provide unmatched ability to offer a consistent year-round supply of different equine products for the show circuit. We offer high quality hay for sale for some of the best equine facilities in the world, government agencies, horse shows and international customers. Our products and services are specially tailored for the equine market, the horse show circuit and customers with large horse facilities. We service a vast geographical scope with both clients and fields spread all over the United States and the rest of the world. Your orders will always be promptly delivered, thanks to our diversified sources and highly efficient supply network. Our qualified and experienced personnel have years of experience in dealing with different kinds of equine hay. They are knowledgeable about how to make, store, transport and sell high quality hay. We are committed to offering full service with delivery all over the United States. If you want high quality hay delivered to your barn, look no further. Eastern Hay Corporation takes pride in their fast, efficient and responsive solutions which keep barn owners happy. We are always committed to your satisfaction. Call us for more information about our services or pricing. Place an order for any amount of hay; we have enough hay for sale to supply any quantity for your equine facility! Our network of seasoned horse professionals and our feed specialist from Purina ensure that each horse receives the proper nutrition. This service is usually complimentary on behalf of Purina products and the internal staff. In addition we act as a reference source for a variety of other equine needs. Our seasoned staff comprised of generations of farmers, MBA graduates, financial professionals, and our feed specialist allow our team to work with farmers in the northeast to develop strategies aimed at long-term stability and success. We work closely with our farmers to meet all their needs from corporate financing, developing infrastructure, best practices, and working to find new buyers. Contact us for more information and a list of references. customers has been passed on down thru generations of my family. 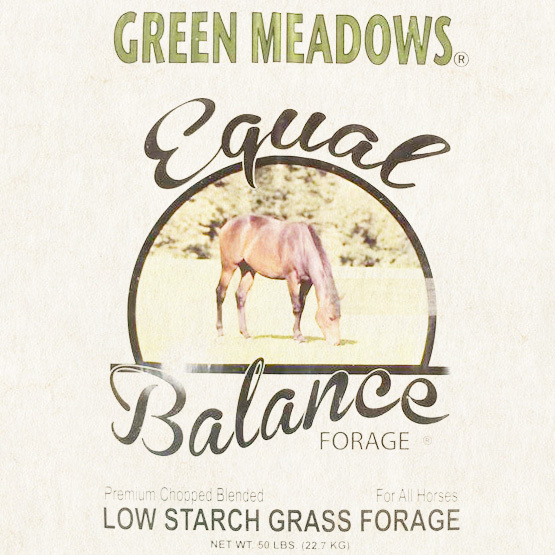 Our hay comes from sources in Canada, the western U.S., the Finger Lakes, and local suppliers. In addition to horses, we have the knowledge and capacity to supply feed and hay for alpacas, zebras and any other alpine animals thanks to our relationship with Purina Mills. Whatever size bale of hay works best for your farm, we have it. Don’t see what you want? Just ask us. Customized solutions for our customers are always available. Eastern Hay is an incredible operation. They combine exceptional, efficient service with a wonderful variety of hay, and a very knowledgeable and hardworking owner. They will work with any budget, and if you're interested, Chris will show, educate and share his knowledge about different kinds of hay, where its from, cut, age, plants and nutrition. I was lucky enough to visit the yard and got to look at 8 diffent trailers of hay. It was really eye-opening and you appreciate and feel confident how you are spending your money. Centerline Stables has been lucky to have them join our team as our supplier! I myself live in Dutchess County, Poughquag, NY and have a small farm. My hay supplier retired and I was struggling to find a new quality supplier. I literally saw an Eastern Hay truck going down the Route 22 and said to myself “Hey, when did Pawling get a serious hay supplier?” So I called and Chris came to my farm with a smorgasbord of hay on the back of a flatbed truck for me to see, try and talk about price. I started using them immediately. "Great service and great product! Everyone was super friendly and easy to work with and I received delivery of my compressed alfalfa super fast! Will be ordering all my hay from these guys here on!" "They have a great product and they're always there for you when you need them. Plus they're super friendly. I had thought of them as being too expensive but I found that they have a great range of products and they will always work with you to help you get what you need. And if there is a problem, for example if what I normally get isn't available, they will call and give me other options." "As the owner of a large, full-service equestrian facility, I pride myself on providing the highest quality care to my customers. For this reason, I have always turned to Eastern Hay. They provide the highest quality products, very competitive pricing, and no order is too big or small. Highly recommended!" "We're very happy with the hay, we really like Eastern Hay. We have no complaints at all. It's great hay and it is delivered when we need it. One time we got a batch of hay that wasn't what we were expecting. When we contacted them, they came right away and took it, and replaced it with what we wanted. We thought that was amazingly good of them to do that!" Eastern Hay knows the importance of helping those who are unable to help themselves, or need a hand up. To that end, we are happy to donate hay or grain to horse rescues, and other organizations that benefit horses and people. The history of Eastern Hay Corporation dates back to 1923 when the company began as a dairy farm, which was then known as Heinchon Dairy. Heinchon was later renamed Eastern Hay Corporation when the company quit dairy farming to begin hay production in Pawling, N.Y. Today, the focus is mainly on the production, brokering and distribution of hay, bedding products and feed for the equine market. Chris Johnson, the current owner and a member of the Heinchon family, has spent his lifetime learning about farming. He shares his vast knowledge with his three sons and staff, enabling them to work together towards producing and sourcing the best quality products all year round. Throughout the past three decades that Eastern Hay has been producing and distributing hay for sale, they have been consistently successful servicing some of the most demanding and prestigious equine facilities around the world. Read more and check out the rest of our recent articles, tips and tricks from our archive below.